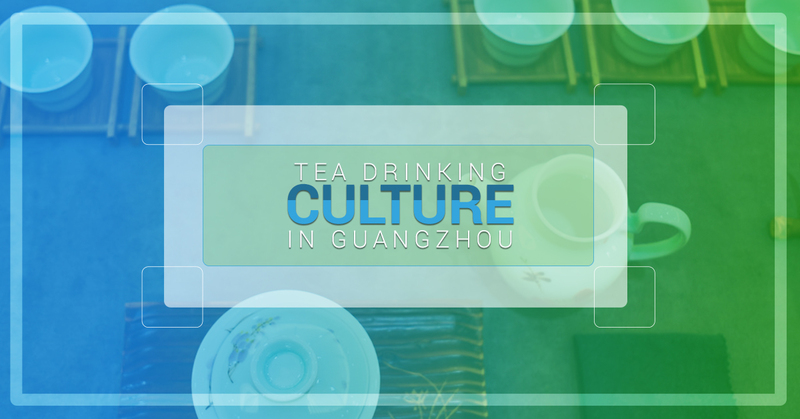 Almost everyone knows that people in Guangzhou, the capital of Guangdong province, love drinking tea, especially having morning tea. When people in Guangzhou first meet, the first thing they say is, “Have you had tea yet?” Chinese people outside of Guangzhou will simply greet each other by saying, “Did you eat?” People in Guangzhou don’t literally mean only drinking tea; having morning tea implies going to a tea restaurant for food as well. Morning tea absolutely involves drinking tea (usually gongfu style), but it also involves ordering a large array of dim sum. The elderly generation are especially resolute in their habit of having their morning tea every day, which means you often will need to wait in line for over an hour or longer for a table to be free. Having morning tea is not just about eating breakfast, it’s a time when family, friends and acquaintances share news, celebrate a special occasion, talk about business, or have a reunion. This is why tea is such an important aspect of Chinese culture; it’s not just about the tea, it’s a form of communication. In the south of China especially, this form of communication is paramount in society. Tea is often part of one’s daily conversation. The Cantonese sentence “duk haan yum cha’’ means “let’s go drink tea when we are free”. This phrase is often used at the end of your conversation instead of saying goodbye. Morning tea is so popular in Guangzhou, there are now restaurants offering afternoon tea and also night tea. Drinking tea is an important part of almost everyone’s life in Guangzhou. As a result, there are numerous famous tea restaurants in Guangzhou, some with a history of over one hundred years. The oldest and most famous are: Taotaoju, Panxi, and South Garden. If you are lucky enough to go to one of these well-known old tea restaurants, you can appreciate the ancient Chinese architectural style and imagine life one hundred years ago all while enjoying some great dim sum, excellent tea, and lively fellowship.